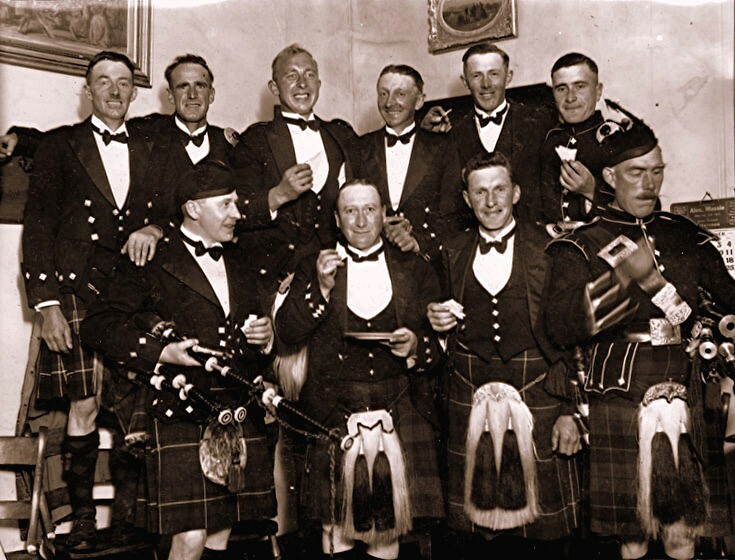 Front Row: Fred McGregor Strathdon, Alan Don Cumminton Strathdon, Charles Gordon Lost Farm Strathdon, Pipe Major William Grant Strathdon. Lovely to see this picture - Pipe Major William Grant was my grandfather....some of my earliest memories are of him marching up and down outside the house at Roadside, Strathdon, practising on the pipes. My family were in the forces but we relished our trips home to Strathdon. My mother was Marjory Grace Grant (married name Duncan) who is sadly no longer with us....I wished I had asked more about the family history when she was alive. Yes Willie Coutts was my Father, he had an afair with my Mother Betty Robb, but it seems he did not want the responsability.I too wish I knew more about the family history, sadly my Mum died when I was just sixteen, I am now 57. Be interested to hear any family history you may know off ! !